I337UCUFNB1 Android 4.4.2 KitKat Firmware Last Updated on 28-Feb-2014. Download and install the latest UCUFNB1 4.4.2 KitKat official firmware update on AT&T Samsung Galaxy S4 SGH-I337 (USA AT&T). Samsung started rolling out an OTA update about the firmware. The latest firmware build version number is I337UCUFNB1. The device was released with Android 4.2.2 Jelly Bean and later updated to Android 4.3 Jelly Bean. This is the first official Android 4.4.2 KitKat firmware update for the device. If you own the device and not yet updated this latest firmware, then update the same using our simple tutorial below. The below guide will help you to download and install the I337UCUFNB1 Android 4.4.2 KitKat Firmware manually through Odin along with OTA and Kies installation guide. The latest Android 4.4.2 KitKat is definitely a great update for the AT&T Galaxy S4 I337 users. The latest firmware will upgrade the OS version to 4.4.2 KitKat and will bring many new features and performnace tweaks. So, want to update your Galaxy S4 I337 to the latest UCUFNB1 Android 4.4.2 KitKat firmware? To install in official way, either you can go for OTA (over the air) from Settings-About Phone-Software Update or download firmware through the Samsung Kies utility. However, most of us prefer manual way to update official firmware. So, in this article you’ll find step by step manual guide to update the latest Android 4.4.2 UCUFNB1 firmware on your Galaxy S4 I337 through Odin. "The firmware is released only for the Samsung Galaxy S4 SGH-I337 model, so don’t try this in any other android device. Check your device model number from Settings-About Phone. Also the tutorial is based on Windows PC. Follow all the pre-requisites, procedures and steps carefully to avoid breaking your phone". All the above pre-requisites are very important and must follow before proceed to installation guide. Hope you get all the above points. 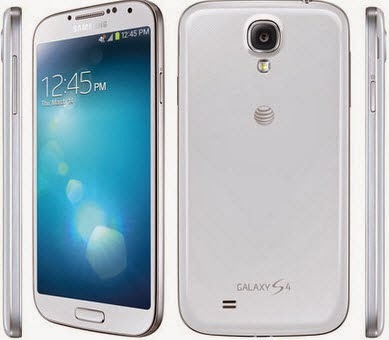 Now, go through the below tutorial to install Android 4.4.2 I337UCUFNB1 official firmware on Galaxy S4 I337. Switch off your phone and boot Galaxy S4 I337 into Download Mode by pressing and holding the Volume Down+Home+Power buttons (long press until the boot screen appear), now press Volume Up key to proceed to Download Mode. Congratulations! your Galaxy S4 I337 is now updated to the latest and official Android 4.4.2 KitKat firmware. Hope you successfully completed the installation guide. If you followed everything as mentioned in the above tutorial, then your your Galaxy S4 should now running on the latest Android 4.4.2 KitKat build version UCUFNB1. You can confirm the firmware update details from Settings-About Phone. You can contact with us using the comment form below, if you find any problem with the above tutorial and download link and also share your experience with us. I have a question: I bought my phone unlocked on Amazon (SGH-I337) If I upgrade using through Odin (since OTA says I have the latest version and Kies says "Your device's current firmware version is not supported to update firmware via Kies") will I lose the unlocked status of my phone? Thank you. I don't see the link from where I can download the firmware file. I have a sim unlocked sgh-i337 phone, does this update will lock my phone? If so, how to unlock it? I want to upgrade my sgs4 i337 runing 4.2.2 to the NEW KITKAT 4.4 but which odin flashable links do I have to install? The ALL in One file? or the System Dump? or Both? Why author is removing the comments? there is some kind of issue. If you haven't already downloaded 4.4.2 on your AT&T Galaxy S 4, don't. I installed it and I now have more bloatware than what was on my phone when I originally purchased it. New apps include Beats Radio, ATT Messenger (another sms app. Really AT&T, as if we didn't already have enough of those?) and ISIS Wallet (similar to Google Wallet). Total bloatware count is now 21 useless AT&T apps I don't use and cannot delete. Thanks AT&T, you're the best......NOT! The download is a tar.rar file and not an md5. Can I please get an md5 link ?